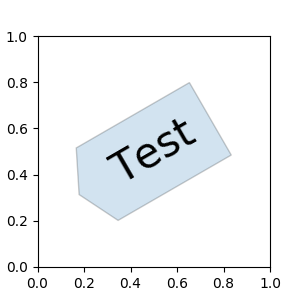 # we may derive from matplotlib.patches.BoxStyle._Base class. # You need to override transmute method in this case. - *mutation_size* : a reference scale for the mutation. Often, the *mutation_size* is the font size of the text. # width and height with padding added.